All of us have a little voice in our heads that helps us make wise decisions—at least when we’re willing to listen to it. But if your voice belongs to an antisocial, student bookworm complaining about getting to chemistry class on time, you’re probably the combustible hero known as Firestorm. When it comes to personalities, Ronnie Raymond and Jason Rusch are on opposite ends of the figurative periodic table. Ronnie’s a good-looking athlete with a quick-to-action attitude and a healthy dose of ego, while Jason’s a gifted science student who’s never happier than when he’s working alone in a lab. Caught in an explosion that should have killed them both, the pair were instead fused together into one nuclear-powered being. Bonded through a phenomenon known as the Firestorm Matrix, Ronnie and Jason act together as a single super hero, with Ronnie usually in control of Firestorm’s body, while the more cerebral Jason lends support as a secondary consciousness within the Matrix. Ronnie and Jason have learned to separate at will, returning to their normal forms and capabilities. But when they’re bonded and utilizing the power of the Matrix, Firestorm can fly, absorb radiation, and fire highly destructive blasts of energy from his hands. He possesses immense strength and can rearrange inorganic objects into other shapes or objects—provided he knows their atomic makeup. This last requirement is one of the many reasons that Jason’s contributions are so important, but that doesn’t mean it’s always smooth sailing. In fact, with such different personalities, the two frequently clash both inside and out of the Firestorm Matrix. 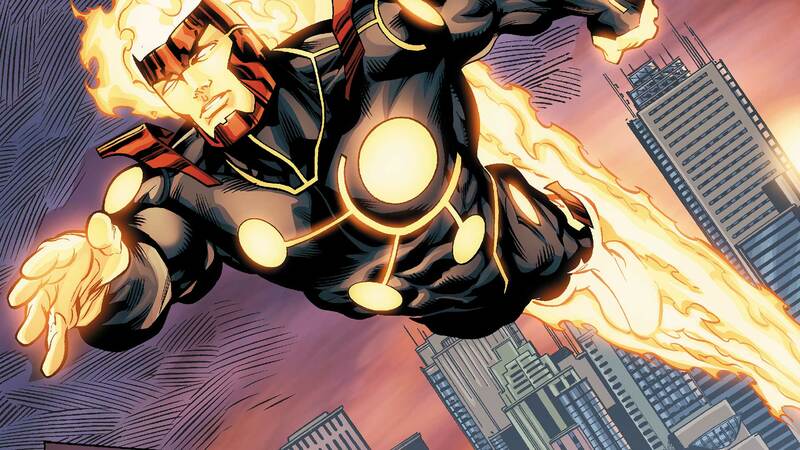 As a result, Firestorm remains one of the more unpredictable and volatile heroes out there, as well as one of the most dangerous, since too much internal friction could cause a nuclear explosion. But when they do work together, Jason and Ronnie can accomplish great things. Firestorm can quite literally change the world for the better, provided the two young men powering him can only agree on how. The critical and commercial hit series by Geoff Johns and Gary Frank continues following the shocking revelations of last issue. 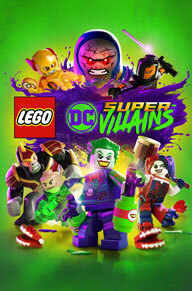 As the truth behind Dr.
Will Damage earn his spot as the world’s strongest hero—or will he be branded a villain forever?